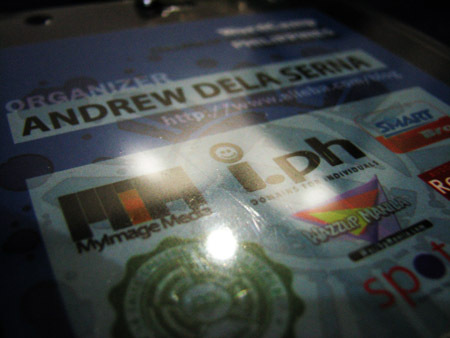 Alleba Blog » Wordcamp Philippines 2008: Wicked! The idea of organizing an event such as Wordcamp is something that would never cross my mind. But being in the almost constant company of a guy named Blogie Robillo, wacky thoughts are inevitable. He gathered the Usual Suspects – Me, Ria, Migs, Winston and said hey, we’re doing Wordcamp! Faster than we can say “Whoa, wait a minute!”, we already had our individual assignments. We only had 4 months to pull it off. I swear I didn’t think we could make it. Fast-forward to September. 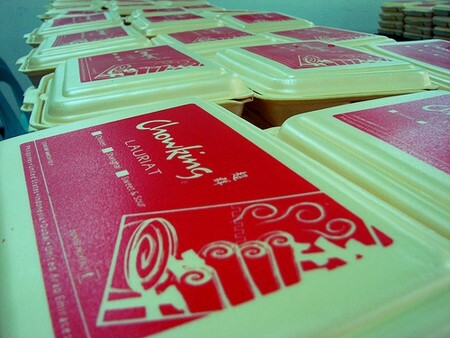 Preparations are going crazy. Fortunately, at this point, I only had a slightly minor part in it. 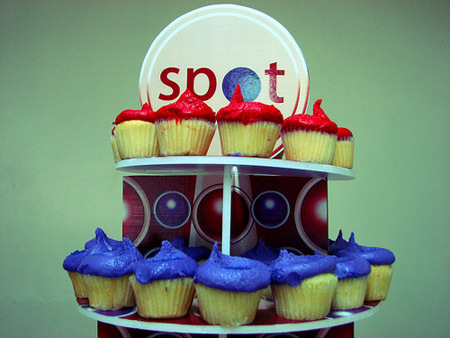 My job started way way back when I was tasked to make the event “look good”. That means designing the logo, shirts, collaterals, badges and banners. It’s not the easiest job in the world, but I thoroughly enjoyed it. My years at Pratt are paying off! Okay, I also had the distinction of being the official Wordcamp chauffeur. Had it not for Manila’s horrible traffic, I would have thanked the MMDA and my driving school as well. September 6, 2008. D-day. I was running a little late. Ria was texting me to come na, now na! I was in charge of the camper registrations which I forgot to mention. Our sponsor, Lane Systems, created a neat little app for us to easily scan camper badges to instantly record the attendance. Cool eh? I arrived at College of Saint Benilde at exactly 830am. A few campers were beginning to pour in while I was setting everything up. Took me under 5 minutes and it’s all systems go. 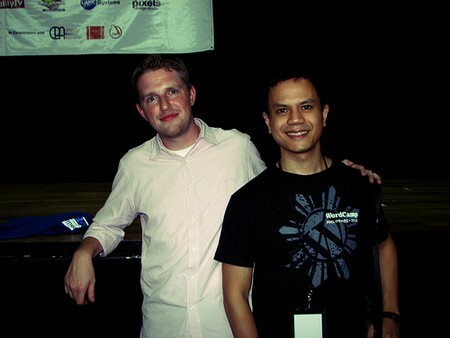 The super cool volunteers from the blogosphere and CSB handled the registration like pros. An additional shoutout to bloggers that I saw/spoke to: Jay “Sweetie” de Jesus, AJ, Hannah, Ada, Sabrina, Phoebe, Coy, Mica, Jeff and Fiel. Mighty thanks to our blogger and student volunteers! — Shari, Gwen, Paul, Arbet, Melo, Jehz, Rein, Chiq, Fritz, Fitz, Jonel, Arpee, the kids from the CSB Computer Business Association and the Association of Information Management led by Luigi Dollosa and Angelique De Leon. 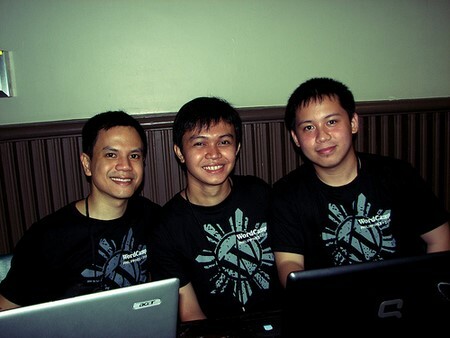 More thanks go to fellow organizers Juned Sonido and Dave Quitoriano. You guys rock! 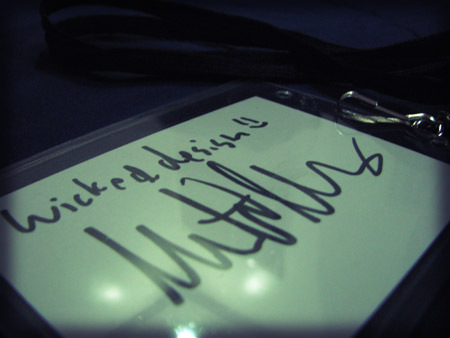 To cap the whole affair off, Matt Mullenweg signs an autograph on the back of my Wordcamp badge. Congratulations Andrew for a very successful event! and i’ll say it again.. twas a pleasure to have met you and work with you guys. Congrats on a job well done, Andrew! Congratz and maraming salamat sa isang matagumpay na wordcamp. @Mae: Thanks. Definitely next year! @Jehz: It is. Thanks for your help! Regards kay Zach ha! @Ada: Young Generation FTW! Hahaha. Bah, someone at the gym asked my age. Damn, I wish I was really that young. Glad to have met and worked with you. NAKS! As if we don’t see each other everyday. Ayos yung black shirt. May available pa ba Drew? @Aileen: Salamat Ate sa iyong tulong! @Cesar: I’m not sure if we’re going to sell the black shirts. But we’re reopening the store soon. Ah! You met Matt! Wicked, indeed! 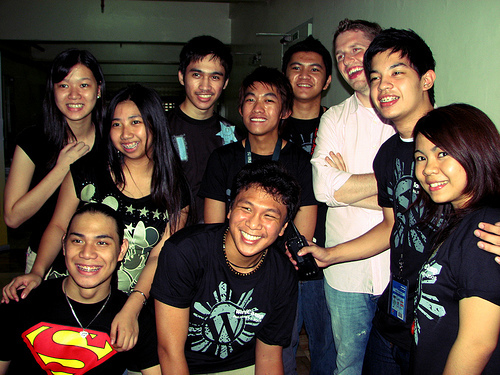 Experiencing WordCamp Philippines 2008 « Here’s to Life!